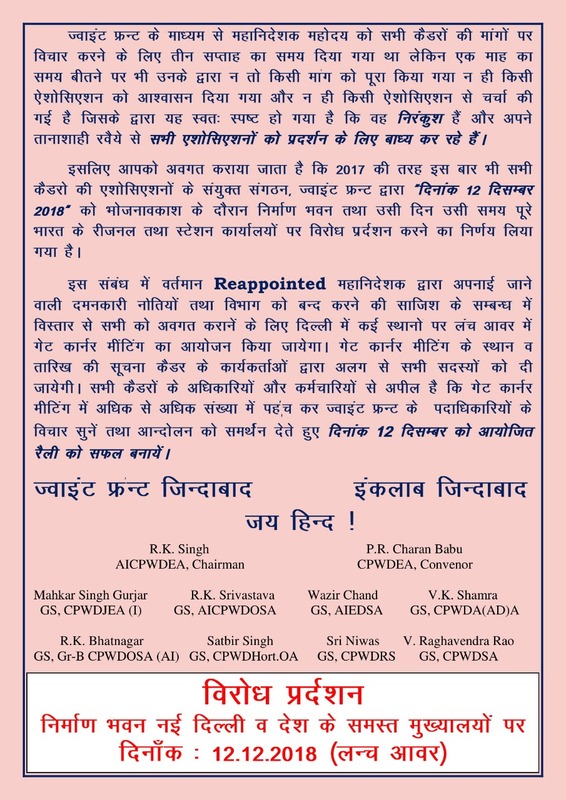 “MASS RALLY” by Joint Front of Associations,CPWD on 12Dec.2018. A Forum of CPWD service Associations ( JOINT FRONT) i.e. 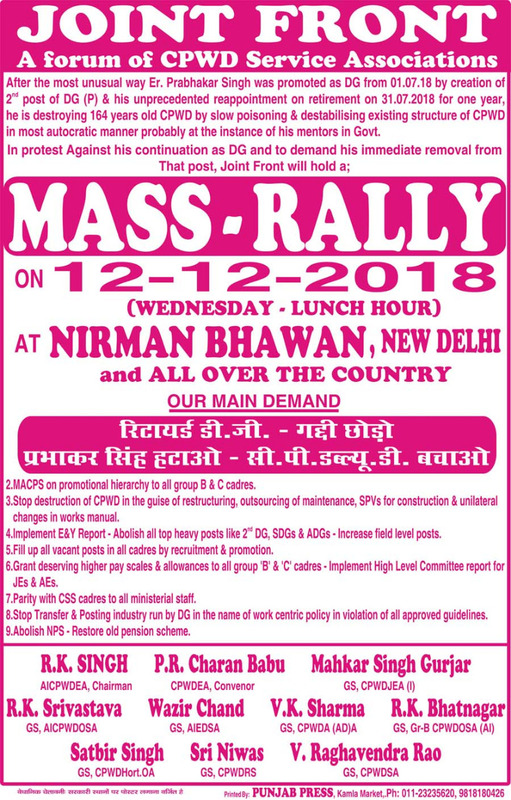 CPWD EA,AICPWD EA, CPWD JEA, AICPWD OSA,AIEDSA,CPWDA (AD)A,Gr-B CPWD OSA,CPWDHort.OA,CPWDRS,and CPWDSA has called for Mass protest rally at Nirman Bhawan & all over India on12th December ,2o18 in protest of Retired & Reappointed DG,Er.Prabhakar singh . Please Read the need and its background ..
VSJ TAFFYGovernment is trying to delay implementation with an intention to save on HRA and other allowances. Rates of room charges of Holiday Homes and Touring Officer’s Hostel under Ministry of Urban Development – Revision thereof. Online Booking of Accommodation of Holiday Homes and Touring Officer’s Hostels-Terms & Conditions. Enter your email address to follow this blog and receive each new posts in your email. Submit your e-mail & get each new posts in your email.